HTC today uncovered world’s first 4G Android phone, HTC EVO at Las Vegas. HTC plans to launch this phone in US on exclusive partnership with 4G enabled Sprint network. Evo users with Sprint connection can enjoy the fastest mobile entertainment on their mobile phone from this summer. HTC Evo was earlier known as HTC Supersonic. The device is the new flagship product of HTC after the mighty HD2. 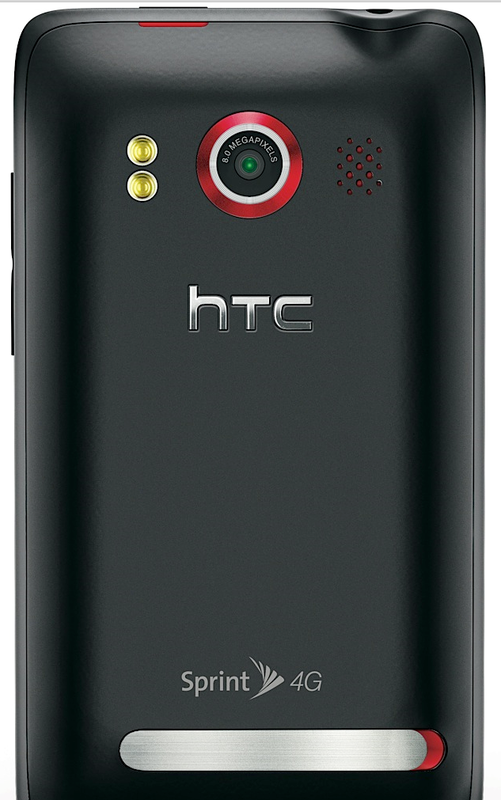 Equipped with Android 2.1 OS, the HTC EVO 4G is a perfect combination of both hardware and software. Many users were expecting an Android version of HTC HD2. The new device is far better than HD2 in several aspects. While maintaining its large 4.3 capacitive touch screen with Sense, HTC Evo adds 8 MP camera with HD video recording and HDMI output. Evo also includes a 1.3 MP video camera for video calls. So apart from viewing HD video in Evo’s large touch screen, users can connect it their external HDTV for better experience. Sprint and HTC haven’t announced the price plans of HTC Evo. However, it would be competitive considering the upcoming launch of iPhone 4G. Those who used HTC HD2 might know how gorgeous it is. Though Windows mobile 6.5 doesn’t have everything to match with its hardware performance, HTC managed to produce great visual experience in HD2 with Sense. Inclusion of Android OS 2.1 is the best thing they have done with HTC EVO 4G. It has the similar software options like in Google Nexus One with around 30000 applications in the Android market. HTC EVO 4G has the same 1GHZ snapdragon processor used in HTC HD2. There are 512 MB RAM, and inbuilt 1GB memory expandable up to 32GB using cards. The front camera is something new in a HTC device. Furthermore, the 8MP main camera with dual LED flash, 720 p HD video recording, makes it tough competition for Sony Ericsson Xperia X10 and other high-end Android phones. Access to Sprint’s high speed WiMax is the plus point of the device. However, it can operate in normal 3G and 2G GSM network. 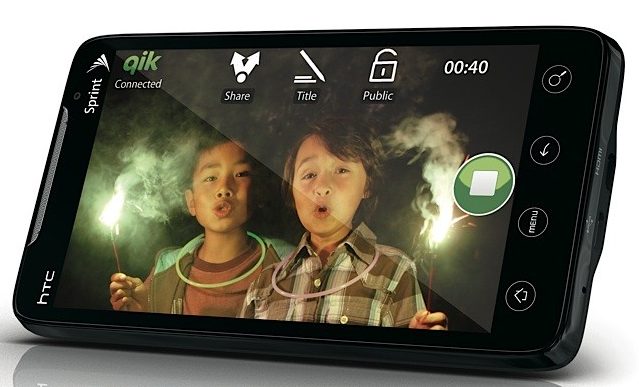 HTC EVO comes with Sprint mobile Hotspot WiMax sharing application, that enables it to connect with up to 8 concurrent devices with Wi-Fi . 4.3 inch TFT capacitive touch screen with HTC sense support and accelerometer. 1GHZ snapdragon processor, 512 NB RAM, 1GB memory expandable up to 32GB. 8MP main camera with 720 p HD video recording, front 1.3 MP camera for video calling, HDMI output, video sharing and live upload to online web services. HTC EVO includes pre-installed Google applications like Youtube, GTalk, Voice, Maps and Gmail. GPS, Bluetooth with A2Dp,Wi-Fi, digital compass,Micro USB, external speakers, 35mm headphone jack. HTC EVO has mobile HD video support. Users can download, shoot or edit HD videos and transfer them to external HD video players using HDMI port. Visual voice mail, Facebook, Twitter support are among other features. 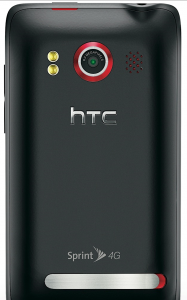 The maximum retail price of HTC EVO 4G can be anything from 800USD. However, Sprint and HTC would announce contract based price plans to compete with existing and upcoming smartphones. More updates on HTC EVO launch dates and price will be available here soon. Update: HTC Desire HD price and specifications announced. hey ..! what is the price in india…? @Rachit Agrawal price is not yet announced. Anyways HTC EVO 4G the best Android phone you can get if you are in US. Or check out Sony Ericsson Xperia X10. Now that the Evo is coming out I think it may change everything. I’ve always made compromises when buying a new phone. I’ll get something I like but not the one I love, just to save money. Then I quickly tire of having an already out-dated device. Technology is almost impossible to keep up with. No matter what you get today it will be an inferior device in only a matter of months (sometimes not even that). But I’ve been thinking, if I’m going to spend the money on a device that I will be stuck with for the next two years, I might as well buy the one I absolutely love. I might as well buy the best one I can right now. Of course I’m still just waiting and crossing my fingers for the unveiling of the cost of the device. The ONLY deciding factor in this, for me, would be the cost of the device and if the cost of the service would be any different than the plans Sprint currently offers. Evo4Gforum.net is dedicated to HTC Evo 4G, check it out folks. and (still unconfirmed but rumored) between $450-499 w/o the new contract/upgrade. pre-orders are taken at radio shacks (with a $20 gift card upon final purchase of the phone) and Best Buy —both for $50. hello im vishal..!! im from hyd,im planning to buy new htc evo 4g..!! i have seen it is CDMA MOBILE..! !even my old mobile cdma mobile (reliance)..!! So i can use that network..!! in INDIA. Please help from this problem..!! if i unlock it..!! I can use HTC EVO 4G in INDIA..or NOT..????????????????????????????? what is the price of this EVO 4G SPRINT in india? I am Vista..!! im from Hyderabad,im planning to buy new htc evo 4g..!! i have seen it is CDMA MOBILE..! !even my old mobile cdma mobile (TataIndicom)..!! So i can use that network..!! in INDIA.